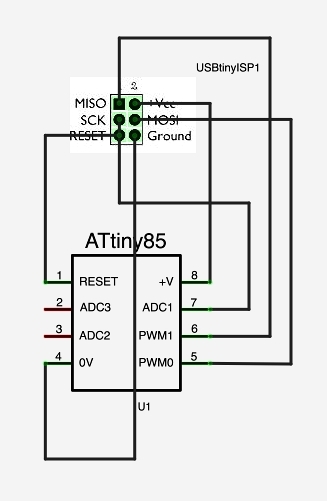 The schematics on how to wire USBTinyISP to ATTiny45 or ATTiny85 I found from Fritzing library. 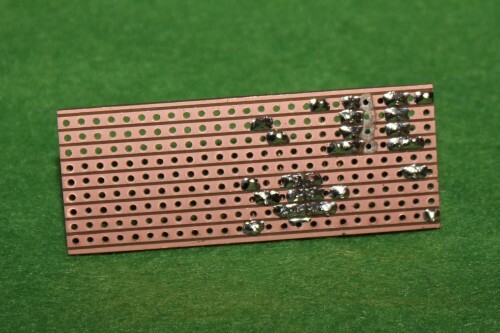 I wanted a bit more permanent solution so decided to build it on a stripboard. It might be not the best layout, but I currently have stripboards only this size. The only place where strips need to be cut are in between the IC and connector legs. 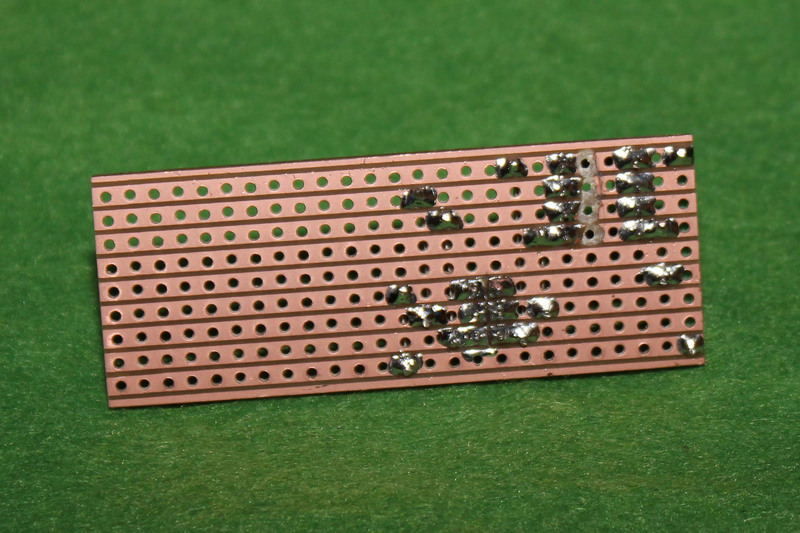 It was very easy to solder and it works very well! Still some space left for test circuit if I come up with one. 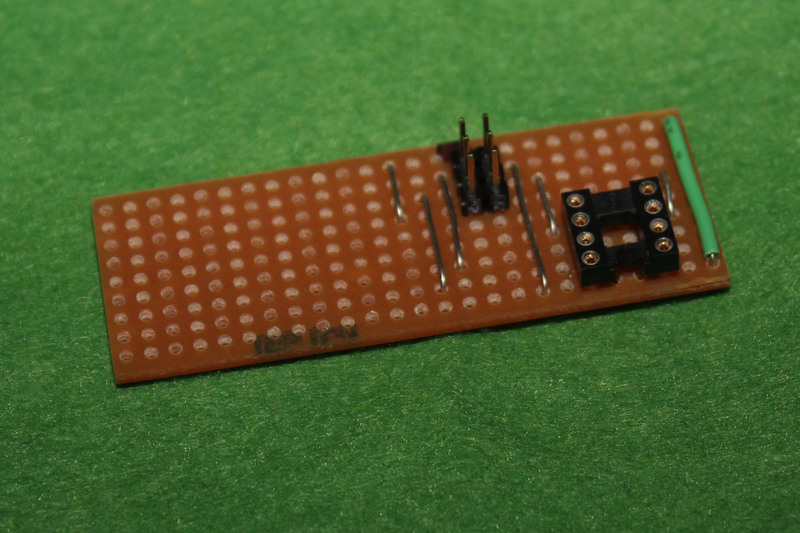 How to set up your IDE to program these chips can be found in the High-Low Tech blog Programming an ATtiny w/ Arduino 1.0.1. Update: You really really really don’t want to put your chip incorrectly into the DIP socket. I accidentally did it and the just 10s later the chip got extremely hot. Good thing I managed to rescue it and it seems to be working. Lesson learned! 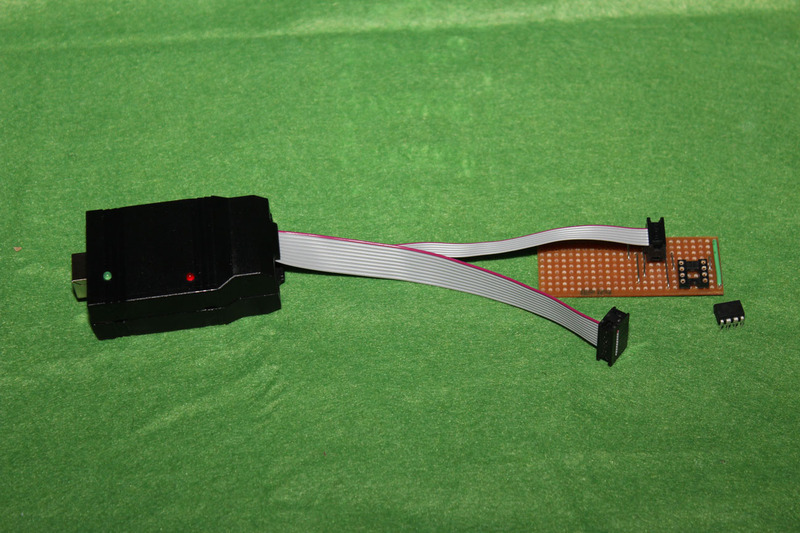 Finally you refer again to ariuino for IDE which is again the same clumsy wires. Please clarify if USBTiny can directly connect and program the attiny85 using studio4 as indicated in the schematic above. If you can specify usbtinyisp as a programmer in Studio4, then you should be good to go.